Flexible easy to redeem rewards. 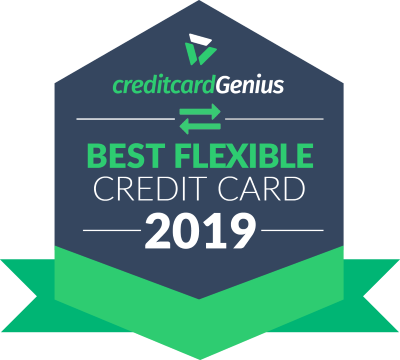 If you want a card that can be used for several different redemption options or lets you use your points like cash, you're going to want a credit card that has flexible rewards. Whether you want to use them for travel, statement credits, or even charitable donations, flexible rewards cards put you in charge of what you use your hard earned points on. rewards that can be redeemed for a number of different things. Something to keep in mind…while flexible rewards give you a few different redemption options, you need to remember that the value of your rewards can often depend on how you choose to redeem them. The list we have compiled below is based on the best flexible option for redeeming your rewards. Some of these cards are even cash back credit cards. We won’t exclude cash back cards from the list because we think cash is a pretty flexible reward too, don’t you? The not only offers a lot of points, but many ways you can use them as well. The best value for your points? The American Express Fixed Points Travel Program. For a set number of points, you'll cover the base airfare for a set distance. Your points are worth up to 2 cents when redeemed this way. Even though you'll still have to pay any taxes and fees for your airfare, this is the best redemption option. If you don't want to use the Fixed Points Travel Program, you can redeem your points towards a flight including the taxes and fees where each point is worth 1 cent. If you want a cash statement credit, each point is worth 0.7 cents each. And, if you choose, you can transfer your points to Marriott Bonvoy at a 5:6 ratio. As for earning points, you'll get a welcome bonus of 2,500 points for every month you charge $500 to your card in the first 12 months. All for an annual fee of $120, divided into 12 monthly payments of $10.